I am now about one year into writing my next book Oracle SQL Tuning: The Definitive Reference and I've discovered some fascinating new principles of SQL tuning, counterintuitive approaches that can make your SQL: run faster than ever before. Some guru's rightfully say that you should always solve a problem using SQL without using PL/SQL unless absolutely necessary, but there is a limit to that technology. Once a SQL query has subqueries nested within subqueries, subqueries in the select clause (a scalar subquery), subqueries in the from clause (an in-line view), the SQL becomes difficult to read, hard to maintain, and difficult to optimize. In these cases, we can use some powerful Oracle tools to divide and conquer complex SQL statements. Because SQL is a declarative language we can formulate equivalent queries with numerous techniques. 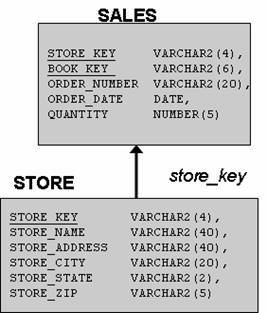 SQL is a state space query language where you simply request the desired rows, there are many ways to write the same query. Back in the 1970's, programming competitions were not concerned with who could solve a problem the fastest but with who could write the solution that ran the most efficiently. Today that has changed, and SQL developers are charged with getting the right rows back as quickly as possible, regardless of the internal execution plan or the time required to execute the query! Complex SQL behaves in the same fashion, and you can re-write SQL to improve performance. With the introduction of advanced analytical SQL functions such as the PIVOT operator in 11g, SQL coders can now solve complex programming problems without using PL/SQL. Complex subqueries - Queries with nested subqueries, scalar subqueries and in-line views can often perform poorly. Global temporary tables - Global temporary tables allow you to "divide and conquer", breaking the SQL into many simple queries. The WITH clause - The SQL-99 WITH clause allows you to execute subqueries independently of the outer query. Let's take a closer look at these powerful SQL re-writing techniques. While these SQL queries return equal results, internally, they have vastly different execution plans, with vastly different performance. This idea of many ways to write an equivalent query is especially important when se write complex SQL with subqueries. In some cases, using global temporary tables and the WITH clause can hypercharge SQL by simplifying the queries by decomposing them into individual pieces. To keep it simple, the following example only references the aggregations once, where the SQL WITH clause is normally used when an aggregation is referenced multiple times in a query. The following is an example of a request to see the names of all stores with above average sales. For each store, the average sales must be compared to the average sales for all stores:. § The total sales for all stores. § The number of stores. § The sum of sales for each store. Again, each of these queries returns identical results, but very different ways.